Rachel M. Wolf is a shareholder with the firm. Her practice focuses on financial services regulatory compliance matters with an emphasis on consumer credit, residential mortgage lending and brokering, and credit counseling and debt management laws. She advises clients regarding multi-jurisdictional compliance and federal consumer finance laws and regulations and has assisted banks and non-depository lenders with issues involving, among other things, TILA, RESPA, ECOA, HMDA, Dodd-Frank Act, SAFE Act, FCRA, GLBA and privacy regulations, Bank Secrecy Act and Anti-Money Laundering regulations, the Mortgage Acts and Practices Advertising rules, and the Federal Trade Commission’s Telemarketing Sales and Mortgage Assistance Relief Services Rules, in addition to state usury and consumer credit business licensing laws. Ms. Wolf is General Counsel of Consumer Credit Counseling Services of Maryland and Delaware, Inc. Prior to joining Shumaker Williams, Ms. Wolf worked in-house for various mortgage companies in the Baltimore area. Ms. Wolf also advises clients on intellectual property matters including trademarks, service marks, copyrights, licensing, copyright infringement and publishing. She represents businesses and individuals in trademark protection matters including evaluation of potential trademarks, drafting and filing of trademark registration applications, responses to USPTO office actions, trademark maintenance and trademark infringement. In addition to regulatory and intellectual property matters, Ms. Wolf’s business law practice includes advising large and small businesses in the areas of entity selection, formation and reorganization, shareholder and operating agreements, employment issues and general business matters. 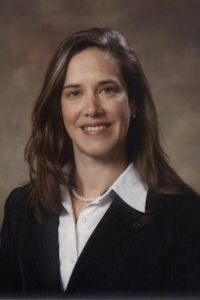 Ms. Wolf received her Juris Doctorate from the University of Maryland School of Law where she was an associate editor of the Maryland Law Review and published an article entitled: Recent Decisions of the United States Court of Appeals for the Fourth Circuit: Inviting Employers to Retaliate Against Employees Who Assert Their Rights Under Title VII, 58 MD. Law Rev. 1280 (1999). Ms. Wolf received her B.A. with distinction from the University of Wisconsin-Madison, where she was nominated to Phi Beta Kappa. She also earned a Master of Arts in English from the University of Arizona. Before entering law school, Ms. Wolf taught English language at the University of Delaware and overseas in Almaty, Kazakhstan.